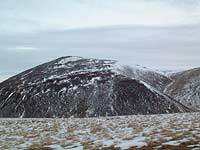 Carn an Tuirc lies on the NW margin of an undulating plateau. 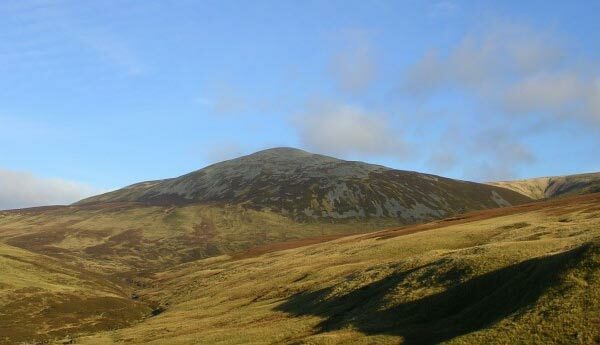 It has a flat summit with steep slopes to the S and W, steep and craggy slopes into Glen Callater to the E but gentle slopes to the N.
It has one long ridge running NE then NNW along which a path/track leads to Glen Callater. 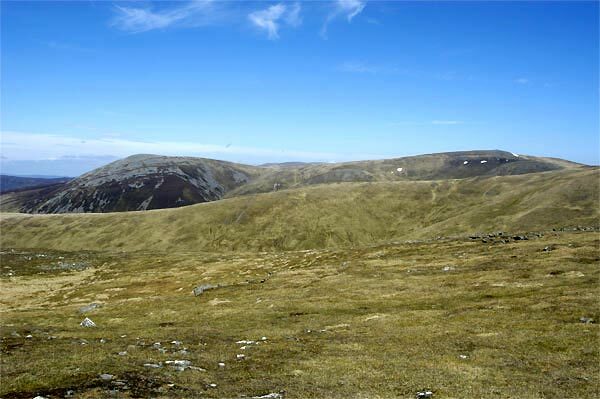 From the N slopes a path leads W to the road in Glen Clunie and to the SE it is connected to Cairn of Claise by a broad col.
Carn an Tuirc and Cairn of Claise from Meall Odhar. 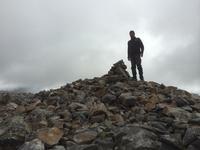 Cairn on Carn an Tuirc, first of six climbed. 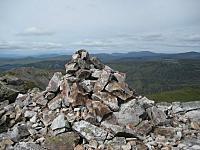 Looking NE from the Sron na Goaithe ridge to Carn an Tuirc. 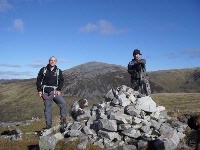 The summary information of one or more ascent routes that include Carn an Tuirc. 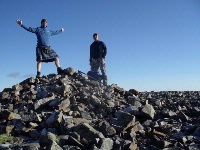 Me and Karl on summit, 7/10/12. 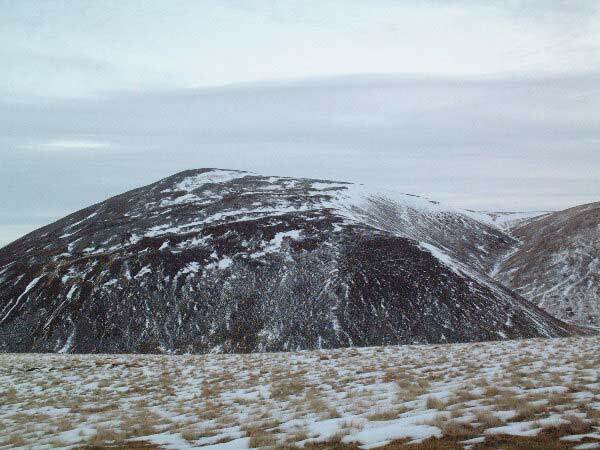 A view of Carn an Tuirc from Sron na Gaoithe. 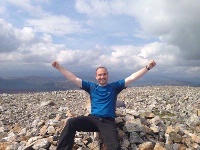 Post a few words about Carn an Tuirc or read what others have had to say. 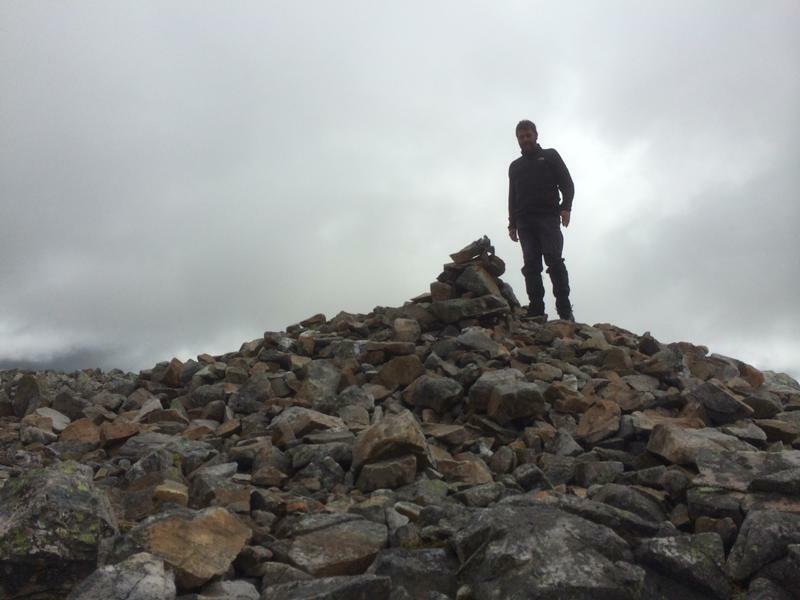 There is a fair sized car park 2km past the ski resort.The intial walk out NE is on a good path.Soon there is a steep rise on to bouldery stuff higher up.Views back to Cairnwell is nice.The wide flat summit is then reached with a Cairn dead ahead.Note that if mist is down up here carefull navigation is needed to reach anything further on.